Nowadays, we often work in open plan offices to encourage collaboration, communication and creativity. In these environments, it is important to plan acoustics to avoid noise-related stress and concentration difficulties. 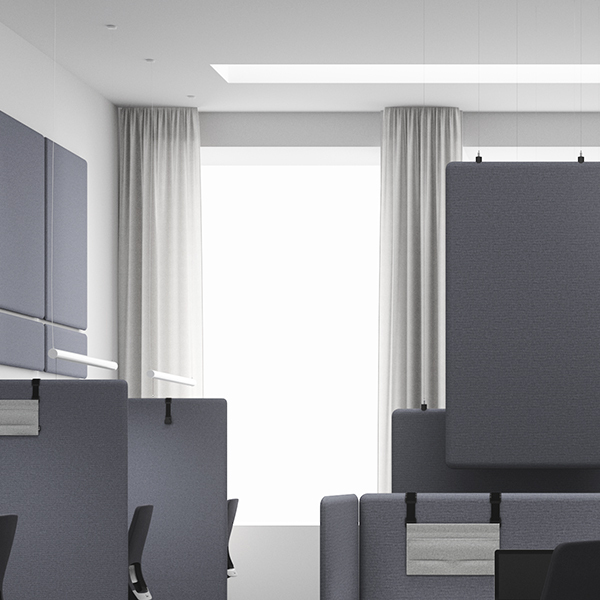 Acoustics Consultant Pontus Thorsson gives us a better understanding of acoustics in open plan offices and what is important to consider. Currently, many workplaces have been designed to promote collaboration rather than individual work. This shift has come about for a number of reasons. For example, research shows that thoughts and ideas are better developed in collaboration with others. But there is also a social aspect. As society becomes increasingly digitised, we socialise less with each other in person and more on social media. As such, our office and colleagues are ever more important for our social interaction. 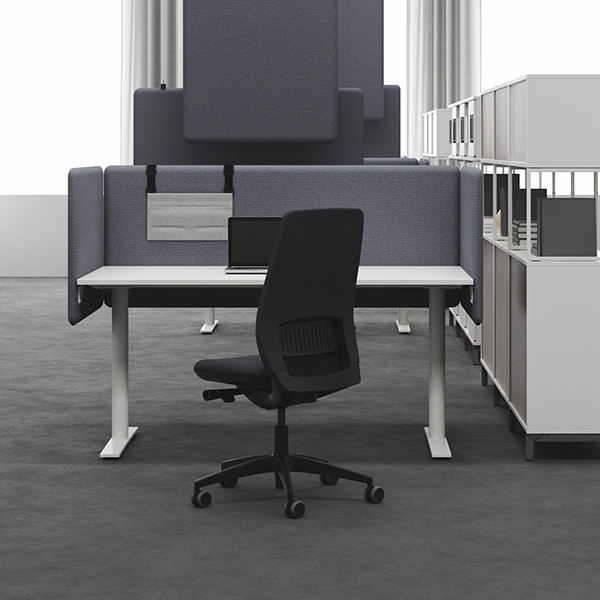 This is reflected in office design, where open, social spaces are prioritised over quiet concentration zones. It is a great challenge to create good acoustics and a balanced noise level in open plan offices. Open solutions almost always entail a strong compromising of the acoustic environment. Many people simply have trouble finding places suitable for concentrating and working undisturbed, which increases stress levels and decreases efficiency. According to Acoustics Consultant Pontus Thorsson, it is not the noise level, per se, that is the biggest issue, but rather the conversations going on around us. "Humans have succeeded as a species thanks to our well-developed language and our ability to cooperate. The disadvantage is that we are programmed to listen to each other. As soon as we hear speech, our brains strive to hear and interpret what is being said. We are simply interrupted in our work by colleagues carrying on conversations around us," Pontus Thorsson tells us. Total silence is not necessary in office environments, in fact, it is often good to have a bit going on in the acoustic environment. However, it is important to provide spaces for concentration in which we can work undisturbed and screened off from colleagues' discussions. "It is best to take your own operations into consideration and to think in terms of activities. 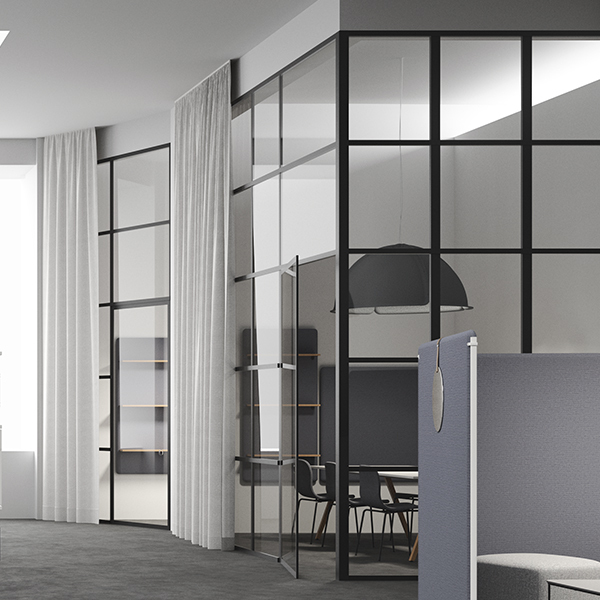 The basic rule of thumb is that there should be spaces for all types of activities, from open, creative spaces, to quiet spaces for focus work," says Pontus Thorsson. A wall-to-wall acoustic ceiling is a good starting point. It should be suspended from the ceiling and have a sound-absorbing effect on the entire office. 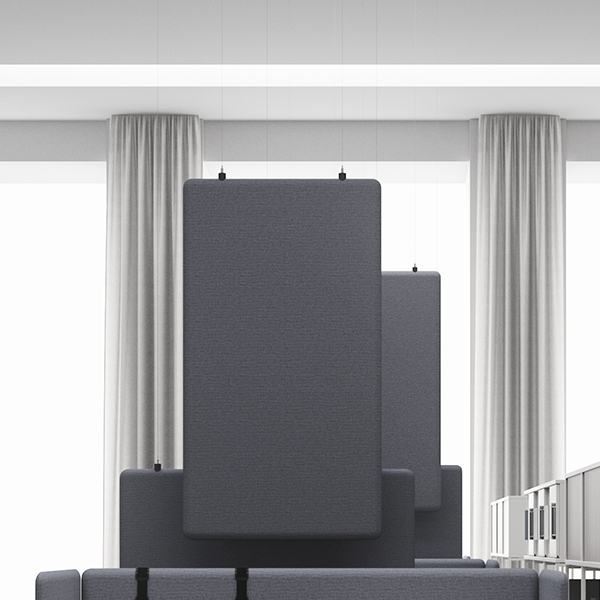 Vertical sound absorbers can be beneficial in rooms that have added requirements for peace and quiet, as well as in select places in the open environment. Discussions and other sounds are diffused by book shelves containing books and binders. Room dividers may also be advantageous. Curtains contribute to a more pleasant environment, not only acoustically, but also visually. They should preferably be made with a thick fabric and hang a bit out from the wall/window. Make sure that your office chairs do not make unnecessary noise. Chairs on legs should be fitted with felt pads and those on castors should roll on sound-absorbing material. 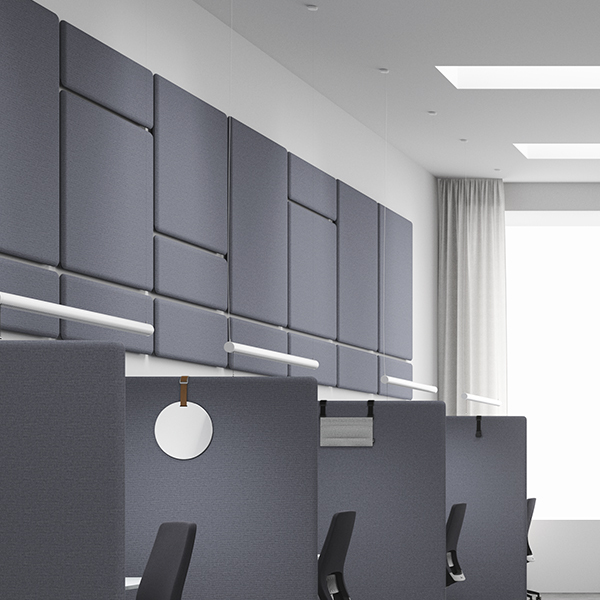 Sound absorbing ceiling screens (baffles) efficiently minimise airborne noise from travelling through the environment. Floor mats absorb noise, primarily footsteps. Remember to have a reasonable amount of space between workplaces. It is important to offer rooms that are soundproof and that are perceived as being silent. In such spaces, one can hold meetings or do individual, undisrupted focus work. Soundproof windows are essential to prevent outdoor sounds from leaking in. Naturally, this is very important if your office is situated in an urban environment or close to a road or railway. 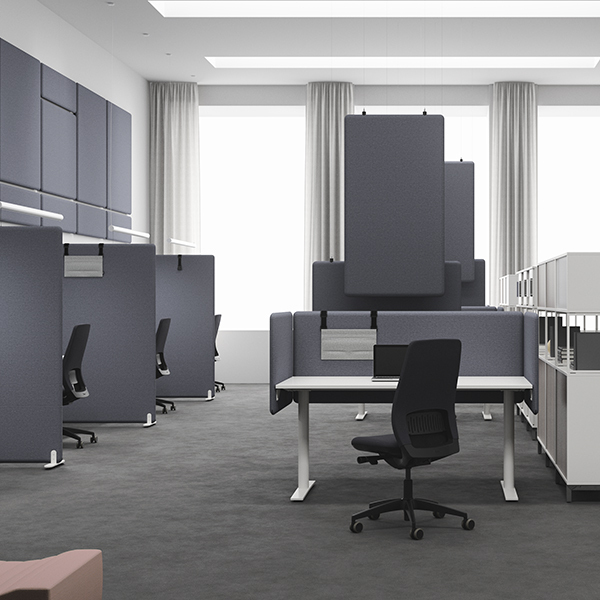 It is, thus, not a matter of creating absolutely silent offices, but rather of balancing noise levels and finding suitable sound environments for all kinds of activities. Creative work and brainstorming are better done in a setting with a bit of a buzz. But for focus work, surrounding conversations can be very disturbing. "Our hearing has not developed in 50,000 years. Nature remains the reference point of hearing, and nature is never silent. An entirely silent environment can actually be taxing on many of us. Total silence is not what we aim to achieve, but rather a sense of peace and quiet. 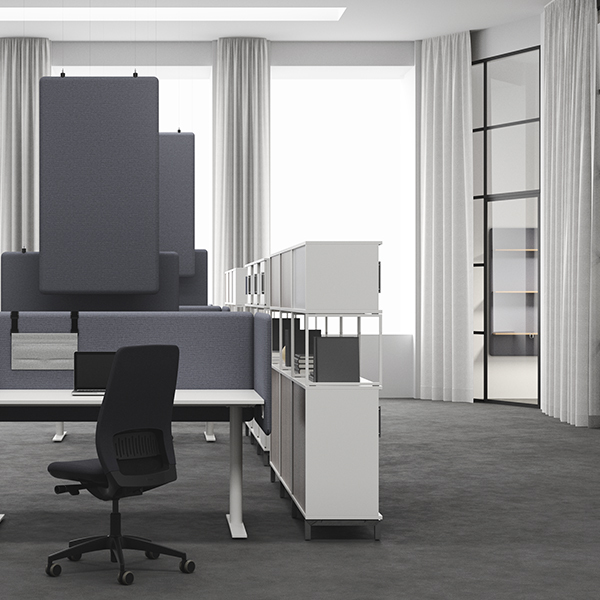 That being said, it is still quiet spaces that are exceedingly scarce in today's offices," says Pontus Thorsson. 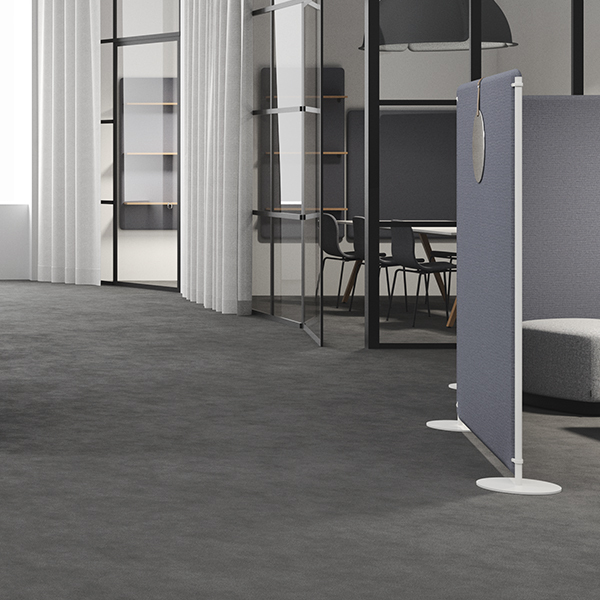 The most effective way to ensure a quiet space for focus work is to put up a soundproof wall. If this is not a possibility, put up proper sound-absorbing floor screens, thus creating a room within a room for focus work. 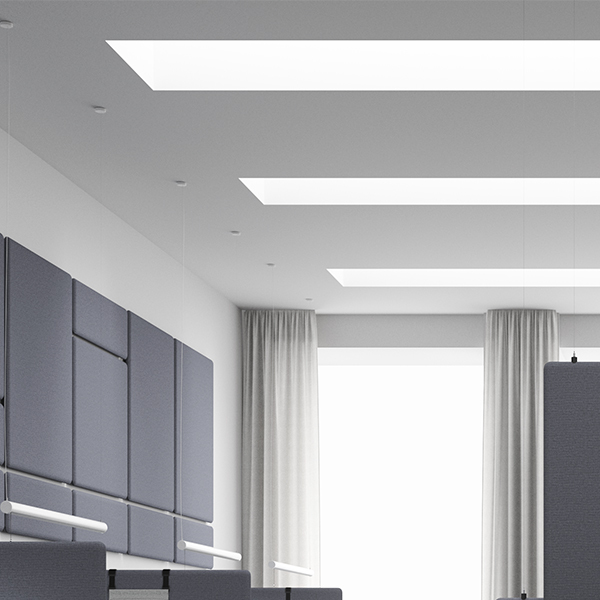 Also ensure that your ceilings and walls have excellent sound-absorption qualities, not only in the screened off areas, but in the entire office. As the largest surface, the ceiling is most important in this respect. Pontus, a Doctor of Technology in the area of acoustics, wrote his dissertation on outdoor sound propagation. Pontus has substantial experience as an acoustics consultant and researches and lectures at Chalmers University. Pontus has conducted very successful research regarding noise generated by wind generators and acoustics in lightweight buildings.